It looks so much better built from balsa, great job. You know, the guys at Flight Test really need to get on this and make some laser cut balsa designs like this. I would love to see the Storch in balsa FT style! 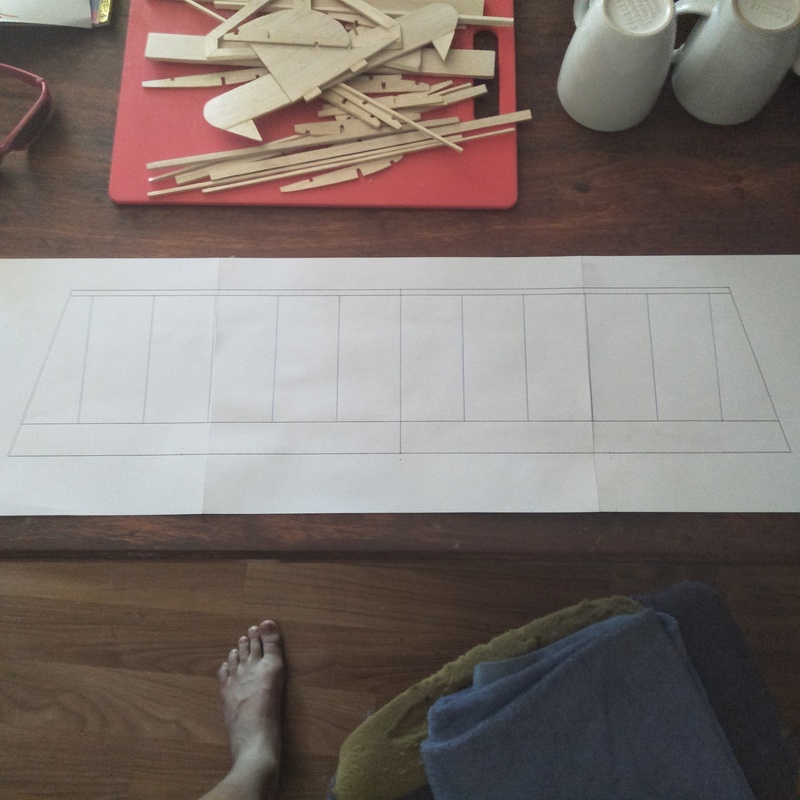 I've taken a few balsa airplane plans and converted them to foam board (my avatar for instance). I don't think I've seen anyone go in the opposite direction yet. This is a cool idea. Can't wait to see the flight video. 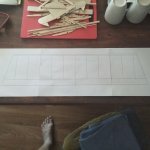 I drew up a full size plan to build the wing, which should be done this afternoon! This is my fastest balsa build yet! Yeah, I agree. What I do think is needed for that to happen though, is a balsa tiny trainer of sorts. Something easy to build, modular to replace, and easy to fly. I finished building the wings! 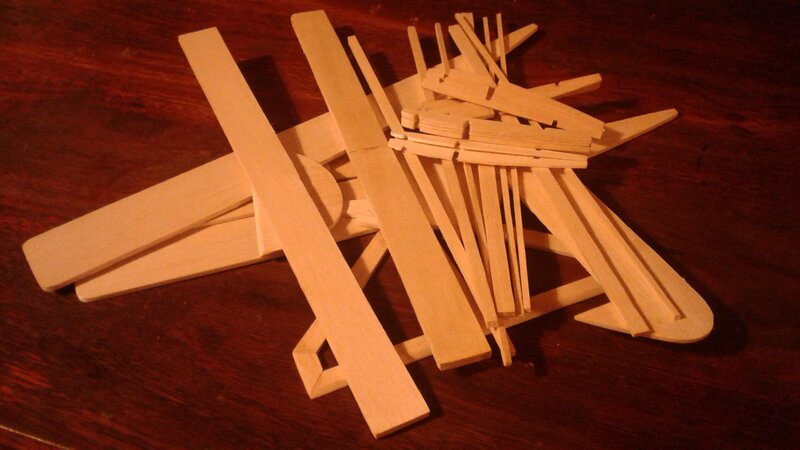 But, in my stupidity I forgot to cut the slots for the popsicle stick wing joiners Any ideas on alternate wing joining? The wings also twist a bit too easily for my liking, which my previous balsa build didn't. 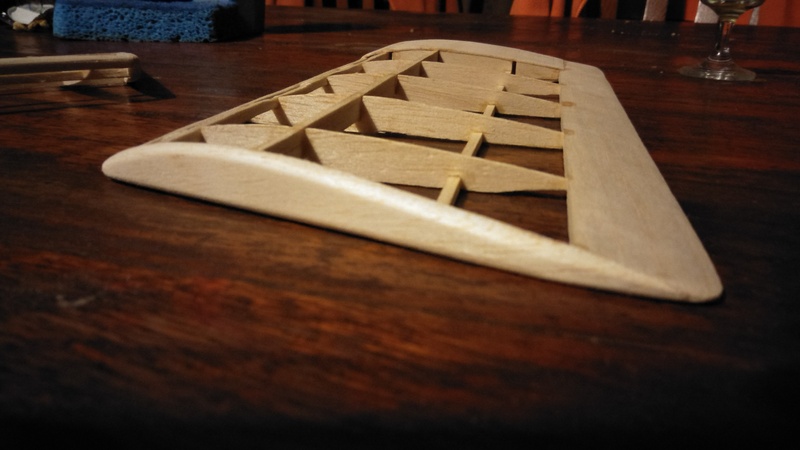 What my first balsa build had structurally on the wing that this one didn't is W bracing, so I think that is probably where the difference is. I'd use two CF arrow shafts to join the wing halves. Drill holes through at least the first three center most ribs on each wing. The covering film will add a lot of torsional stability and keep the wings from twisting. You can make a really long drill bit by sharpening the end of a piece of brass tubing of the right size, and then cutting a couple notches in the end to give it some teeth. I use home made hand drills like this to cut balsa and foam all the time. Probably have 6 different sizes of brass tube drills by now I've seen some people chuck them into drills, but I usually just turn them by hand. 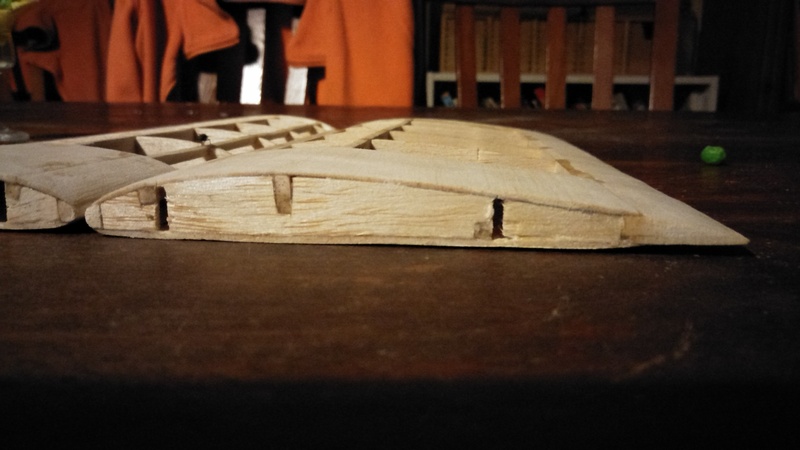 Would there be enough meat on the 1/16 balsa rib after being drilled? That's one reason why I was using popsicle sticks. They have a much thinner profile, so they don't compromise the strength much. Wouldn't the brass tube kinda tear the thin balsa? Normal drill bits are hard enough! I haven't had that problem yet - just use gentle pressure turning by hand sort of slowly - I like to either put a little block of foam or piece of balsa on the other side of the rib I'm cutting to prevent tear out coming through the other side. I agree that regular drill bits are not nice to balsa, these brass tubes are much easier to get a clean hole with. I'll make sure I try that next time! Yeah, I normally sandwich my balsa between any sort of thin wood to prevent tearing. what do you sharpen the brass tube with? My dad came up with a solution yesterday. He's really helpful! I was originally going to have the popsicle sticks mounted horizontally, but after forgetting to cut the slots before gluing it all together, I had to scrap that idea. What my dad recommended is to have them slide in vertically taking advantage of the centre section sheeting. 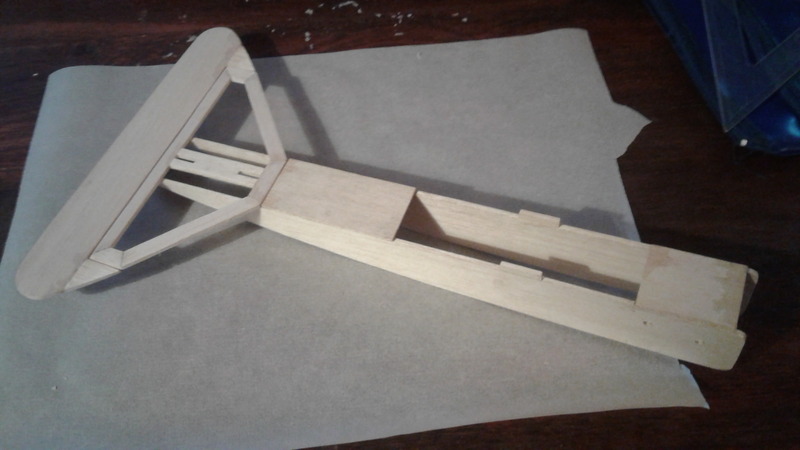 I would have to make sure I put the popsicle sticks in the right place or sand them down a bit so they are the same height as the rib to make sure it fits snug inside the slot. 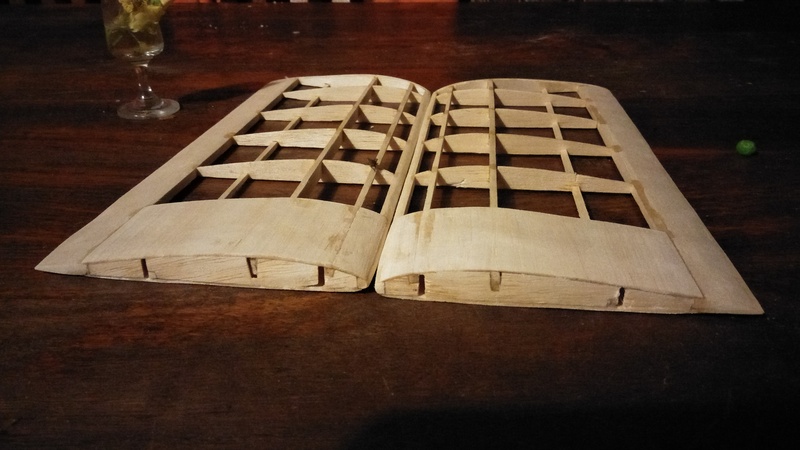 He also said to put them sitting up next to the 1/8 x 1/8 balsa spars at the front and back of the wing if I can for extra structual support. I will hopefully get that done in the next day or two. Depending on the size of the brass tube, I sharpen it either with a round file (like you would use to sharpen chainsaw teeth) or a little round sandpaper drum on my dremel. Would a belt sander work? Could you show me a picture as well please? 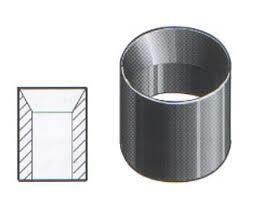 You want to bevel the inside so that the outer diameter is sharpened. What do you bevel the inside with? I use my Dremel with a conical tip for fast results or a rat-tail jewelers file by hand is slower, but careful. I finished the inner section sheeting and two piece wing mechanism today! 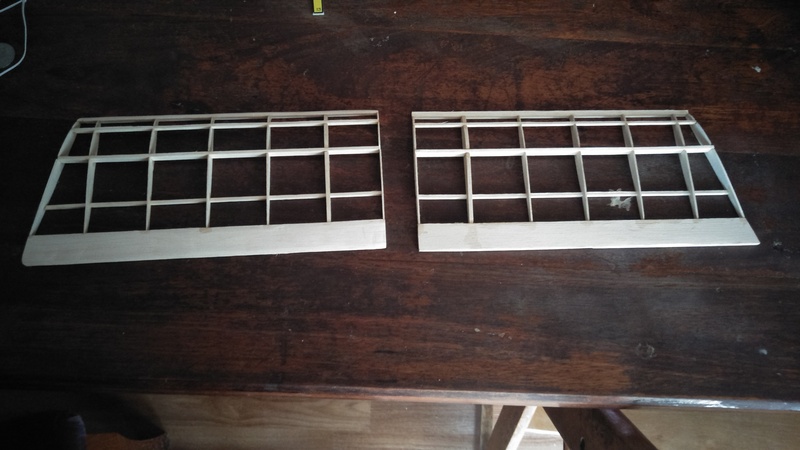 I was going to have the wing joining spar slots cut in horizontal, but because I forgot to cut them before I glued them altogether I had to cut them in vertically. It does mean the wing joiners will be stronger mounted this way though, so I guess it isn't that bad. I also decided to put some scrap 1/8th balsa on the wing tip so it wouldn't be so ugly. I think it turned out pretty good! All I have to do now is cover everything, cut out the ailerons, sort out the removable rudder, and install the servos. I can smell the finish line!